I only ever knew one pitbull. He was a white boy named Casper with a crooked jaw from being kicked as a puppy. He belonged to my daughter's best friend's family, who rescued him from the kicker. I used to go to their house to pick up my daughter and have coffee with the mom. Casper could invariably be found with the kids, but my favourite image is of the kids laying on their tummies on the floor looking up at the tv and Casper between them with his back legs out behind him like a frog, watching the tv too. He was as good, gentle and loving dog as any I have known. 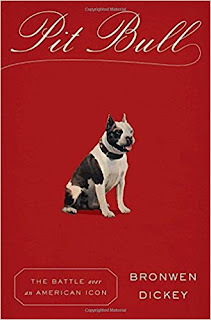 I feel like this book will reinforce my favourable prejudice toward these dogs. I am really interested to learn of the Pets For Life program. The province is currently burning down and our SPCA and humane society have other things on their plate just now, but I'm going to look into the program when the fires are out. I think pets add immeasurably to our lives, and a program that helps people keep their pets is something I would love to support. As a former "pittie" owner, thank you for publishing this. Of all the dog's I've had in my life, Casey was the kindest, the gentlest, the most caring of people and animals around her, and a joy to have known. When we are ready for dogs again in our lives, they will be pittie-x rescues just like Casey was. Jay, that's so great to hear. I decided to write this review without talking about my own connection to pitbulls. It was intense and life-changing. They are some of the greatest animals on this planet. PS: That black sheperd-y dog (maybe Belgian Shepherd?) in your pic is so beautiful! Karen, I was so moved by the Pets for Life and Unchain Dogs stories. I hope to connect with them one day, too. I hope you and your family are safe! I grew up reading Albert Payson Terhune's collie stories. Terhune was a great believer in good bloodlines, racial hierarchies, 'scientific' eugenics, and so on--all the usual received wisdom of his era. But, although he despised "curs" (I have to smile. Most of my dogs have been what he'd call curs. ), he even more despised the moral panic that sent whole villages hysterical with cries of 'mad dog' and killing any strays who wandered into town panting for water on a hot day. I think that, like me, he rather preferred dogs, even curs, to people, and perhaps that's why I read those claptrap stories over and over. the moral panic that sent whole villages hysterical with cries of 'mad dog' and killing any strays who wandered into town panting for water on a hot day. 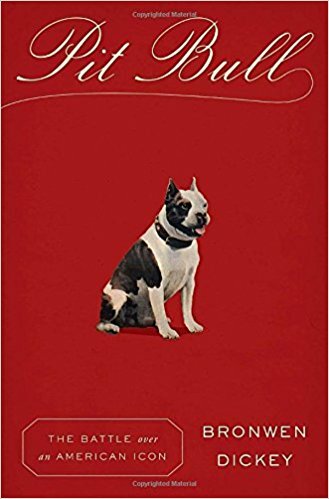 The author recounts another moral panic over the Spitz -- or any dog thought to be a Spitz. There was a belief that they carried rabies! They were rounded up and killed. This was in the 1870s. Apparently we've learned nothing since then. Another foster, Casey picked him out at the dog park, they had 16 years together with us, we bought them a farm. Wow, thank you for that!! The compliment and the send. Such a nice reply from the author. I did tweet the link to her -- I always do if I can find an author on Twitter -- but perhaps she doesn't see tweets.